Metropolitan Rly 4-4-0T No 23, London Transport Museum, Covent Garden, Sun 1 April 2012 2. 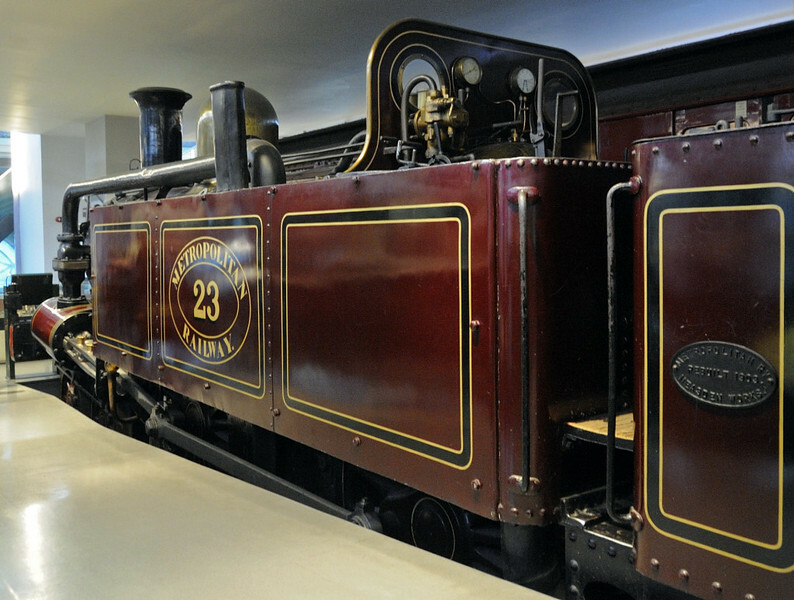 The Circle Line was completed in 1884, and No 23 worked on it until it was electrified in 1905. It condensed spent steam into its water tanks to reduce emissions in the tunnels.